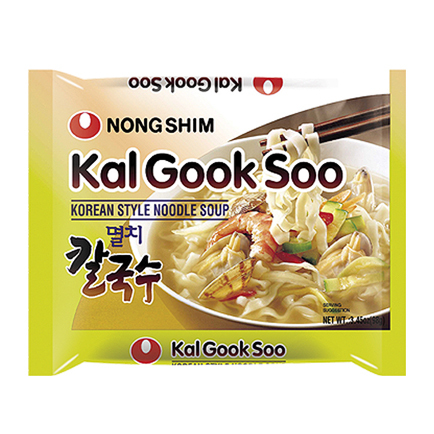 Kal Guk Soo is developed to bring the clean and refreshing taste of traditional kalguksoo noodles. 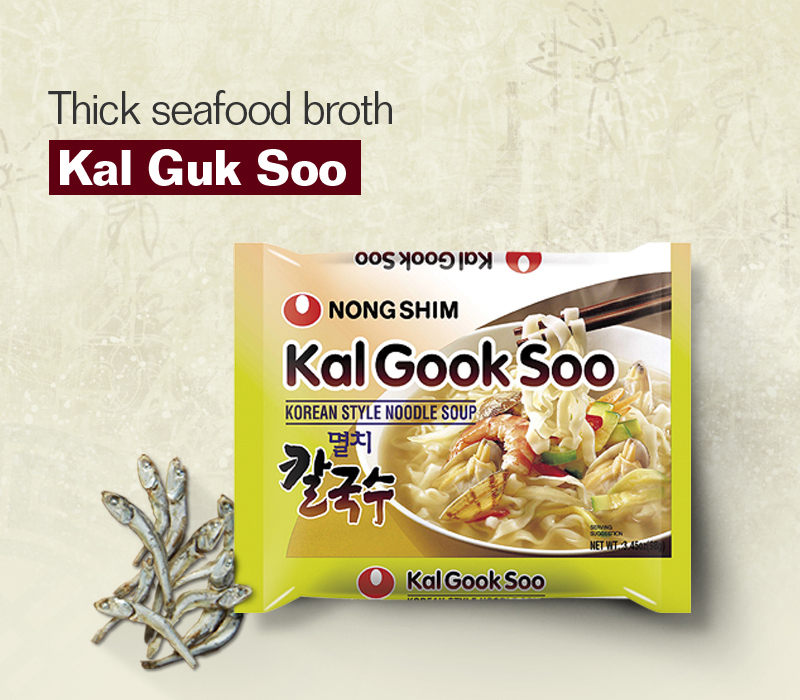 Kal Guk Soo is made to be conveniently enjoyed at home. A unique refreshing dish, Kal Guk Soo is a suitable dish for middle-aged males, housewives or adolescents as it can be conveniently enjoyed at home. Refreshing and clean soup broth unique with anchovies is combined with vegetables such as zucchini and toppings to provide the original flavor of clean and refreshing Kal Guk Soo. Noodles not fried in oil are refreshing. 1. Boil 550ml (about 2 1/3 cups) of water. Add noodles, soup base, and vegetable mix. 2. Cook for 4-5 minutes, stirring occasionally.